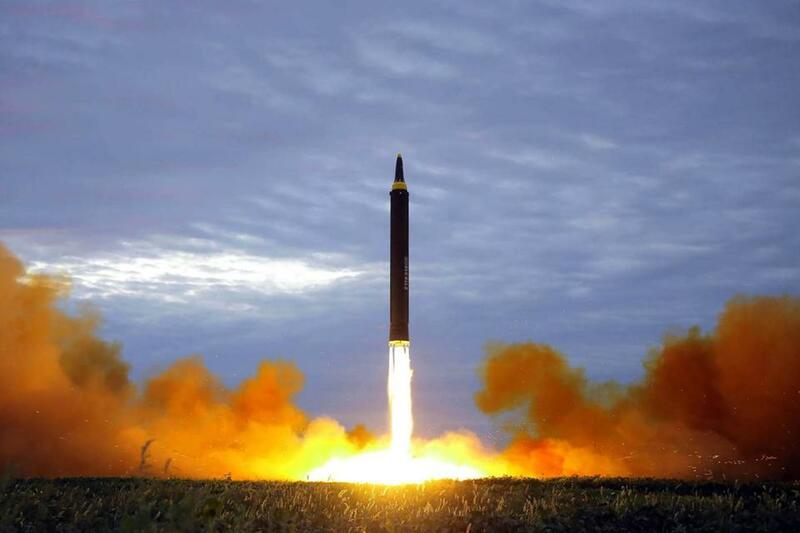 A North Korea&apos;s intermediate-range strategic ballistic rocket Hwasong-12 lifts off from the launching pad, Aug. 29, 2017, at an undisclosed location near Pyongyang, in this photo released by North Korea&apos;s official Korean Central News Agency (KCNA). The summit between President Trump and North Korean leader Kim Jong Un has walked us back from talk of a “nuclear-to-nuclear showdown,” previously described by Choe Son Hui the vice foreign minister of the Democratic People’s Republic of Korea (DPRK). But while we can welcome improved rhetoric about the nuclear crisis, it is not certain that the North Koreans will relinquish the weapons for which they have sacrificed so much to build. In addition to the North Korean threat, the larger problem of global nuclear proliferation must also be addressed. In the 73 years since Hiroshima, nukes have spread to nine nations, and are sought by multiple terrorist groups. Despite the end of the Cold War, hundreds of weapons remain poised in launch-on-warning status, vulnerable to triggering by computer or human error. Conventional wisdom on how to control the nuclear genie is not working. Diplomats from North Korea have told us that their weapons were developed as a deterrence to nuclear attack by the United States and that North Korea wants to help create a peaceful nuclear-free world. That has also been a stated goal of the United States, which signed the Treaty on the Non-Proliferation of Nuclear Weapons in 1968. The nations that have developed nuclear weapons since NPT was signed claim that, in the 50 years since, the original nuclear-armed signatories of the NPT have not fulfilled their pledge to work for “cessation of the nuclear arms race at an early date” and negotiate “complete disarmament.” Hence continued possession of nuclear weapons by the great powers has bred proliferation. In the 1980s, there was broad public opposition to the nuclear arms race, which was followed by a significant reduction in the number of nuclear weapons, from more than 60,000 to about 15,000 today. With coverage led by The Boston Globe, physicians participated in public opposition through the International Physicians for Prevention of Nuclear War, which was awarded the 1985 Nobel Peace Prize for bringing attention to the nuclear threat. Diplomacy and vigilance can help ensure peace with Russia. In 2007, IPPNW cofounded the International Coalition to Abolish Nuclear Weapons, or ICAN, as an action group to work for a ban on all nuclear weapons. ICAN developed a UN Treaty on Prohibition of Nuclear Weapons, which was adopted by a majority of the world’s nations last year. 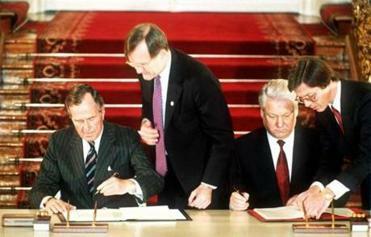 All nuclear-armed nations opposed the treaty. For the “Ban Treaty” adoption, ICAN was awarded the 2017 Nobel Peace Prize. As Trump and Kim engage in continued dialog for “denuclearization” of the Korean peninsula, support for the ban treaty could provide a means for them to realize their mutual long-term goal of a nuclear-free world. The goal of a worldwide ban on nuclear weapons is often rejected as idealistic and impractical. But the 73-year history of nuclear weapons — the Cuban Missile Crisis, the Cold War crisis in the 1980s, and now the US-North Korea nuclear confrontation — indicates it is actually idealistic to think that maintaining the current course will have a good outcome. It is a good time for a discussion of the risks of maintaining the present course versus the risks of outlawing nuclear weapons, just as we have outlawed biologic and chemical weapons of mass destruction. The United States, Russia, and China, with their large conventional military forces, would have the most to gain from outlawing nuclear weapons, which are an equalizer for smaller nations and terrorists. The relation of massive nuclear destructive force to national security requires such a change in human thinking that our leaders will not be able to bring us to safety without broad public support. It is time, with the help of an informed citizenry, to address not just the symptom but also the underlying disease: the existence of thousands of legal nuclear weapons threatening billions of innocent civilians. Dr. James Muller, a cardiologist at the Brigham and Women’s Hospital, was a cofounder of International Physicians for Prevention of Nuclear War. Dr. Philip Lederer is an infectious disease specialist at Boston University/Boston Medical Center. Dr. John Pastore, who was the first executive secretary of IPPNW, is a cardiologist at Steward Health Care.